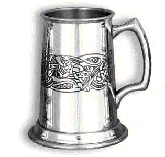 Made of fine English Pewter and embelished with intricate engravings. 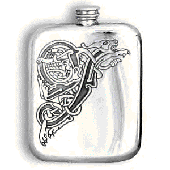 These gift items are sure to please even the most discriminating shopper. 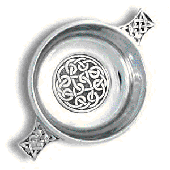 please allow sufficient time for their arrival. 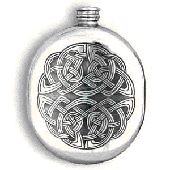 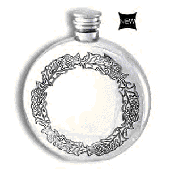 CEL177: 6oz Pewter Celtic knot design flask.